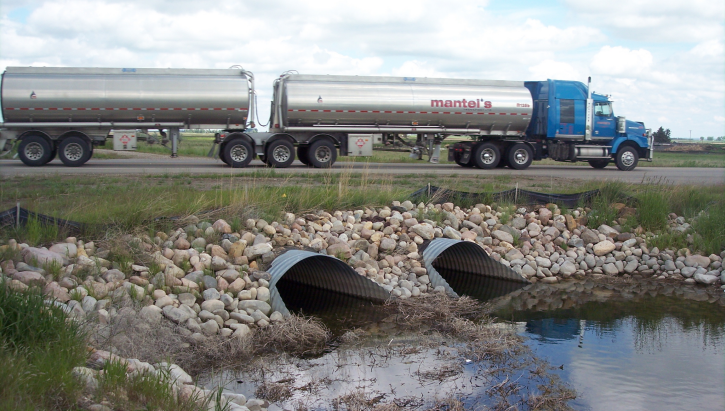 This article describes the various culvert types/shapes, sizes, and dimensions that HEC‑RAS supports. The program has the ability to model up to ten different culverts (any change in shape, slope, roughness, or chart and scale number requires the user to enter a new culvert type) at a roadway crossing. For a given culvert type, a maximum of 25 identical culvert barrels are allowed. The size of the culvert is defined by entering a rise and span. The rise refers to the maximum inside height of the culvert, while the span represents the maximum inside width. Both the circular and semi‑circular culverts are defined by entering a diameter. 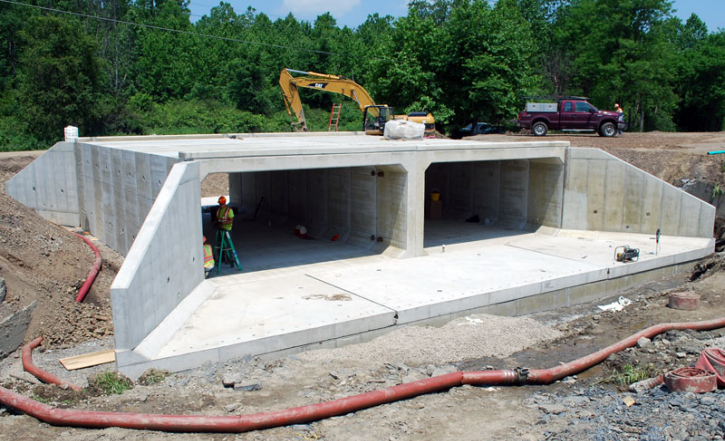 The inside height (rise) of a culvert opening is important not only in determining the total flow area of the culvert, but also in determining whether the headwater and tailwater elevations are adequate to submerge the inlet or outlet of the culvert. Most box culverts have chamfered corners on the inside, as shown in the below picture. The chamfers are ignored by the HEC‑RAS culvert computations when computing the cross‑sectional area of the culvert opening. Some manufacturers’ literature contains the true cross‑sectional area for each size of box culvert, considering the reduction in area caused by the chamfered corners. If you wish to consider the loss in area due to the chamfers, then you should reduce the span (width) of the culvert. You should not reduce the rise (height) of the culvert, because the program uses the culvert rise to determine the submergence of the culvert entrance and outlet. All of the arch culverts (arch, pipe arch, low profile arch, high profile arch, and CON/SPAN) within HEC‑RAS have predefined sizes. However, the user can specify any size they want. When a size is entered that is not one of the predefined sizes, the program interpolates the hydraulic properties of the culvert from tables (except for CON/SPAN culverts). HEC‑RAS has nine predefined CON/SPAN arch culverts. 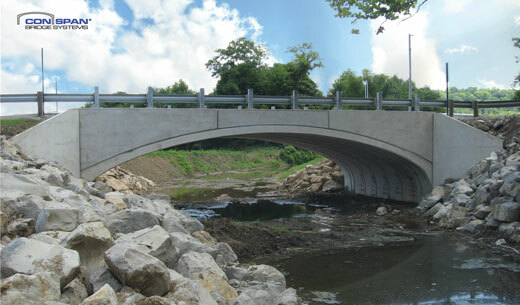 CON/SPAN arch culverts are composed of two vertical walls and an arch. Each predefined span has a predefined arch height. For example, the 12 ft arch has an arch height of 3.07 ft. For the 12 span, any rise greater than 3.07 ft can be made by adding vertical wall below the arch, when a rise is entered less than the arch height, the arch must be modified as discussed below. 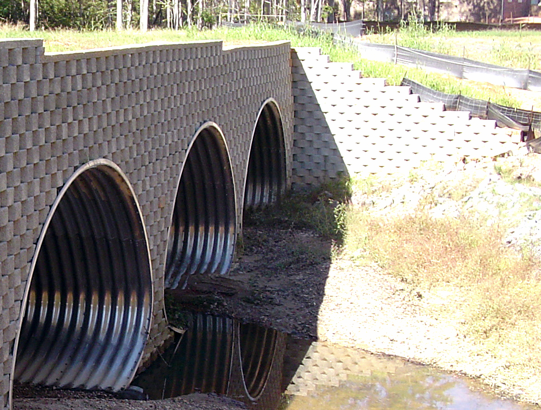 HEC‑RAS has the ability to produce a culvert shape for rise and span combinations not in the predefined list. The following is a list of the predefined CON/SPAN sizes that HEC‑RAS has defined. If a span is requested that is not in the list of predefined shapes, then one is interpolated geometrically from the bounding predefined shapes. The plot below shows an interpolated 21 ft arch from 20 and 24 predefined arches. If the span is less than the smallest predefined arch, then the smallest arch is scaled to the requested span, similarly, if a span is entered larger than the largest predefined arch, then the largest arch is scaled to the requested span. 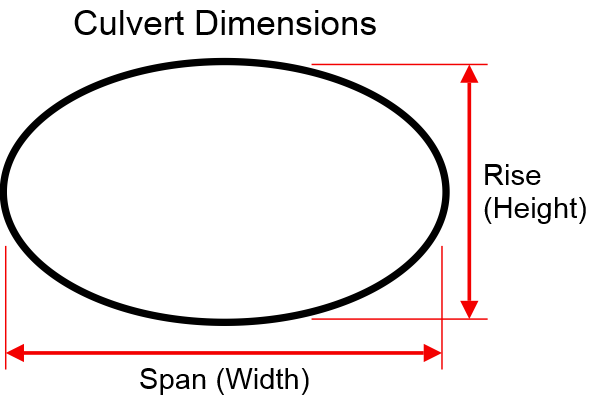 If a rise is entered that is less that the predefined arch rise, then the vertical ordinates of the arch are scaled down to the requested arch rise and no vertical segments are added. In the plot below, a 20 ft span was requested with a 3 ft rise. The arch height of the 20 ft span is 4.13 feet so all the vertical distances were multiplied by 3 / 4.13. Figure 2: Geometric Interpolation of the ConSpan Culvert for Non-Standard Rise. The culvert length is measured in feet (or meters) along the centerline of the culvert. The culvert length is used to determine the friction loss in the culvert barrel, and to compute the culvert slope. The user can specify up to 25 identical barrels. To use the identical barrel option, all of the culverts must be identical; they must have the same cross‑sectional shape and size, chart and scale number, length, entrance and exit loss coefficients, upstream and downstream invert elevations, and roughness coefficients. If more than one barrel is specified, the program automatically divides the flow rate equally among the culvert barrels and then analyzes only a single culvert barrel. The hydraulics of each barrel is assumed to be exactly the same as the single culvert that is analyzed.